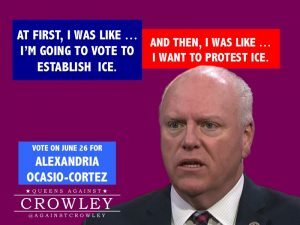 The duplicity of first voting to create ICE and then protesting against ICE. 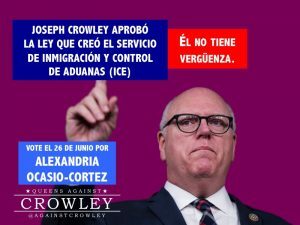 Joseph Crowley voted in 2002 to create the Immigration and Customs Enforcement agency. On Wednesday, Joseph Crowley (Establishment-NY) collapsed in a protest against the separation of families ordered by President Donald Trump (R). As you know, Trump has been using the Immigration and Customs Enforcement (ICE) in on-going attacks against immigrants. 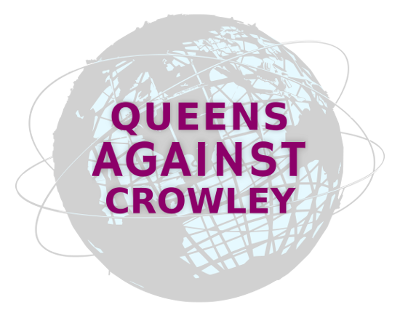 Congressman Crowley protested on behalf of the immigrants and suffered a physical collapse in front of everyone. But he showed no shame for having, in 2002, voted to create ICE. Crowley was lucky, because he recovered from his fall. 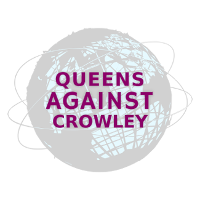 But immigrants have very few ways to fight against detentions or deportations by the agency that Crowley voted to create. This year, Alexandria Ocasio-Cortez is running to replace Crowley in Congress. She has committed to close ICE. 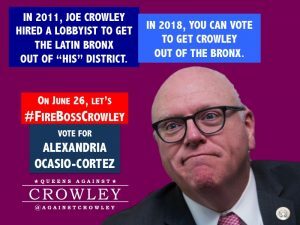 If you live in Queens or the Bronx, vote on June 26 for Alexandria Ocasio-Cortez for Congress.